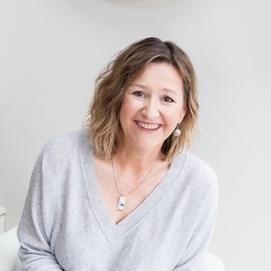 I’m a clinically trained Pilates teacher (I trained in Matwork with Body Control Pilates and on Reformer with Stott and Gyrokenisis) and have been teaching Pilates full-time since 2000. I opened Balance Studio in 2014. I’ve always worked closely with my local Physiotherapists, Osteopaths and Chiropractors, so many of my referred clients came to me with back issues – the natural way forward was for me to specialise in Low Back Pain. In my classes and one to one sessions, I apply my Pilates Skills, together with other very powerful techniques that I have learnt, to offer my clients a complete package. I look at the body as a whole and my clients will learn how simple but very effective measures will eliminate their simple low back pain. Pippa is a clinically trained Pilates teacher, also a Physiotherapist. 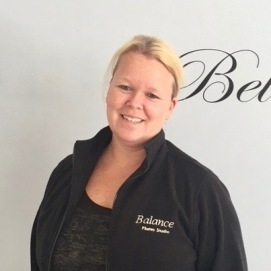 She is Matwork and Reformer trained and runs classes and private 1:1 sessions at Balance. Pippa is one of our Low Back Pain exercise specialists. 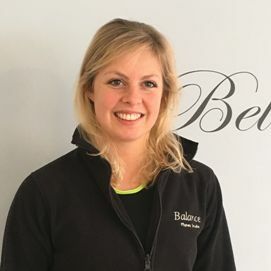 Daisy is a level 3 trained Pilates teacher with additional Level 4 qualifications for low back pain and orthopaedic conditions. Daisy’s passion for Pilates developed after she used it to rehabilitate her own knee injury and went on to successfully complete a marathon. 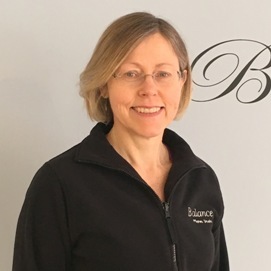 Helen is a clinically trained Pilates teacher with Body Control Pilates. She was a client of Philippa’s for many years before deciding to do her Pilates training. Helen is also a horse-riding instructor and Pilates has proven invaluable to her horse-riding clients as well.